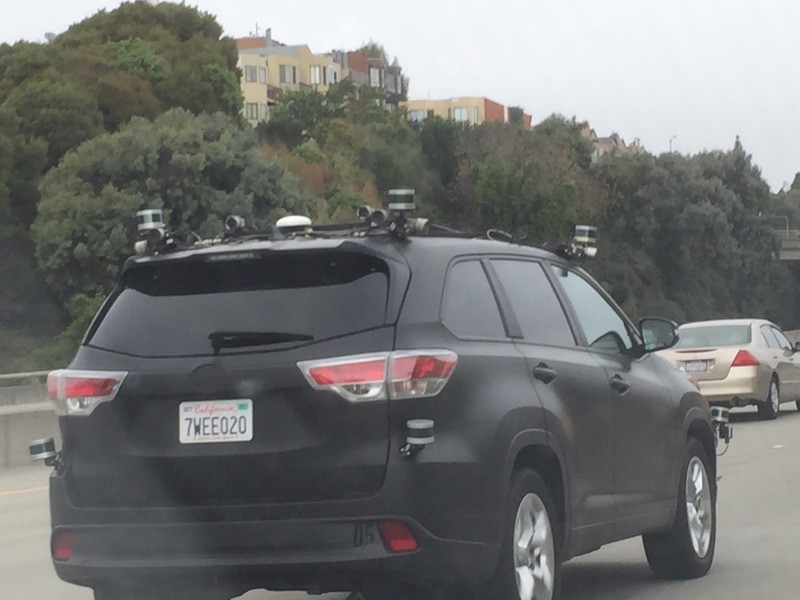 A black SUV with eight Velodyne Puck Lidars, a dozen of cameras and high-precision-GPS was spotted this Friday in San Francisco on northbound Highway 280 right before the offramp to Mariposa Street. 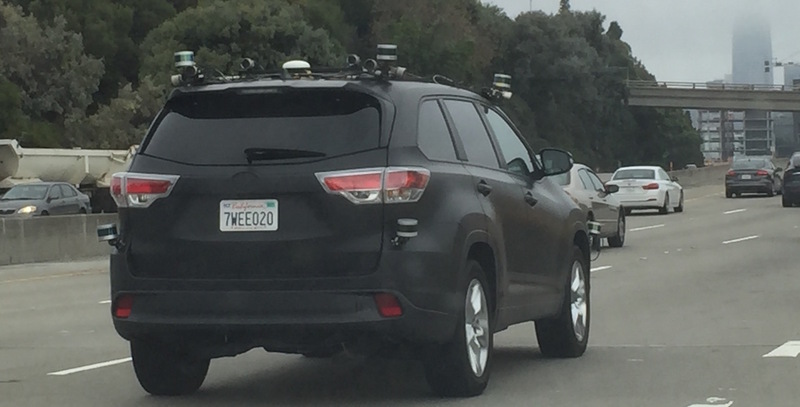 The vehicle didn’t have any markings, even the make was removed. 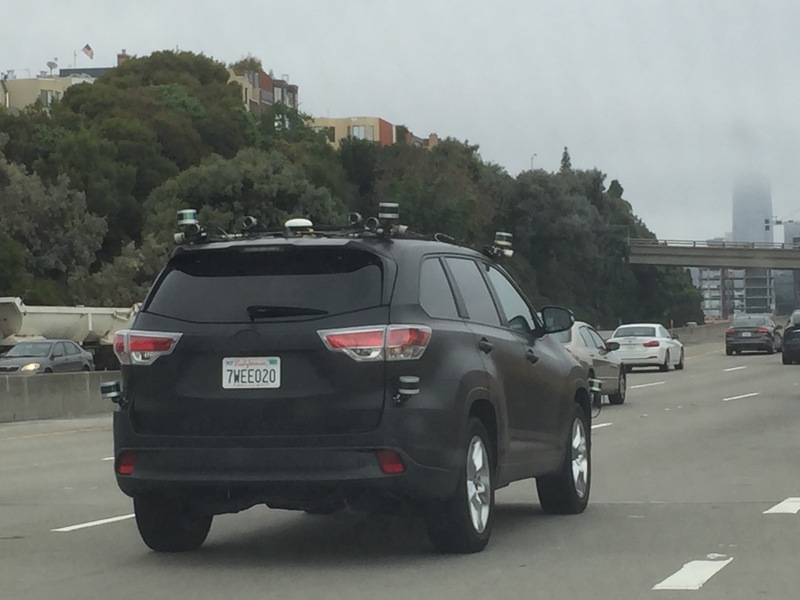 As always, any hints what company is behind this vehicle is welcome. 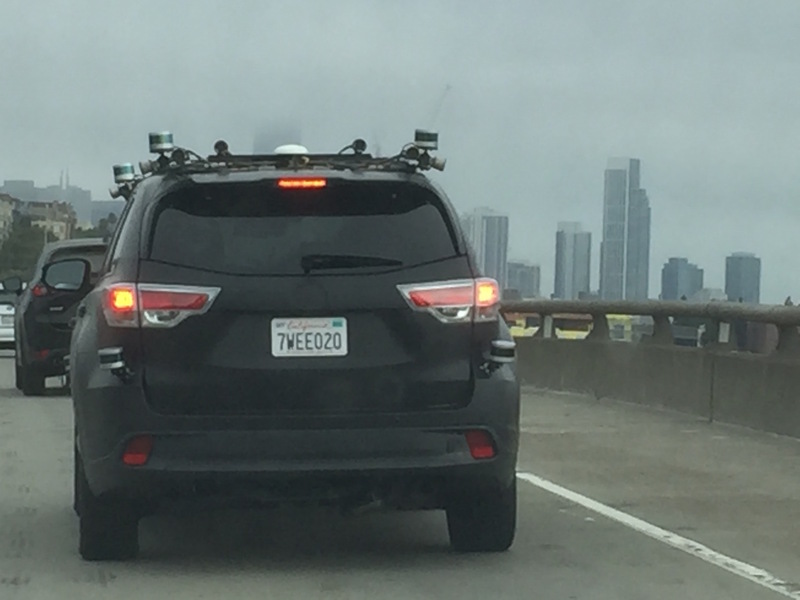 UPDATE: This vehicle is from Zoox.